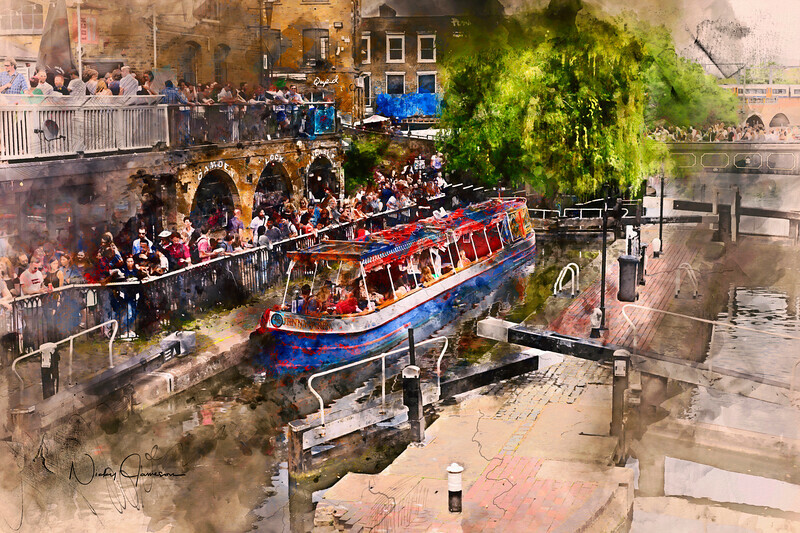 Many layered watercolour composite of a barge ready to pass through one of the locks on the Regent Canal at Camden. Made from my original photographs, layered textures and watercolour paint splashes. Looks excellent on a large stretched canvas or acrylic facemount.